Behind the scenes it takes months for the Rio Carnival Samba Schools to prepare for the country’s famous parade, but who are the performers to beat? With such a good atmosphere, it’s easy to forget that Rio Carnival is actually a competition. For months leading up to February, the Samba Schools to prepare their flamboyant costumes, build their elaborate floats, and rehearse their winning dance routines for the Sambadrome. Each Samba School represents a different area of Rio, with most coming from working class communities and favelas. There can be up to 4000 participants in each school, and even tourists can purchase a costume and join in with the parade. So here is our guide to the Rio Carnival Samba Schools to look out for next February! 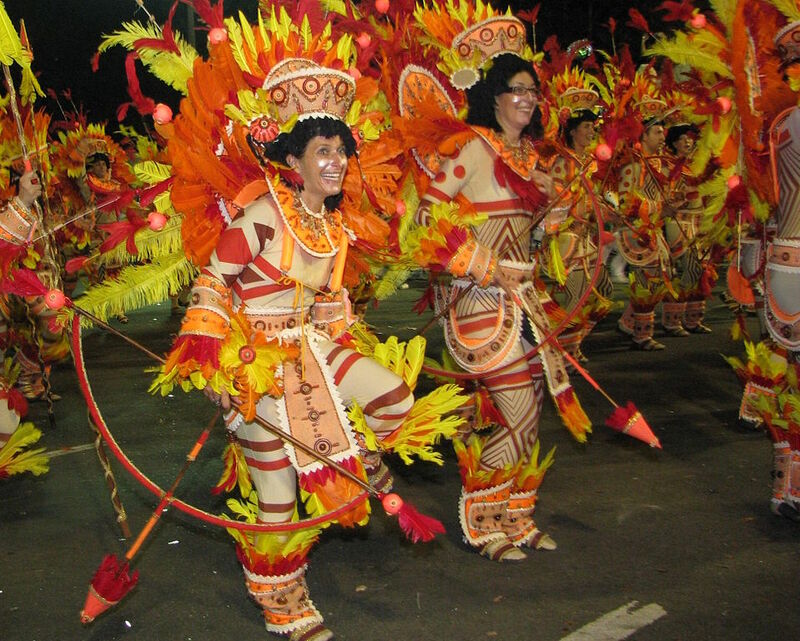 Info: Mangueira is the oldest and best loved Samba School in Rio, with a loyal following. They retain their traditions well, and are one of the most consistent schools at the carnival. 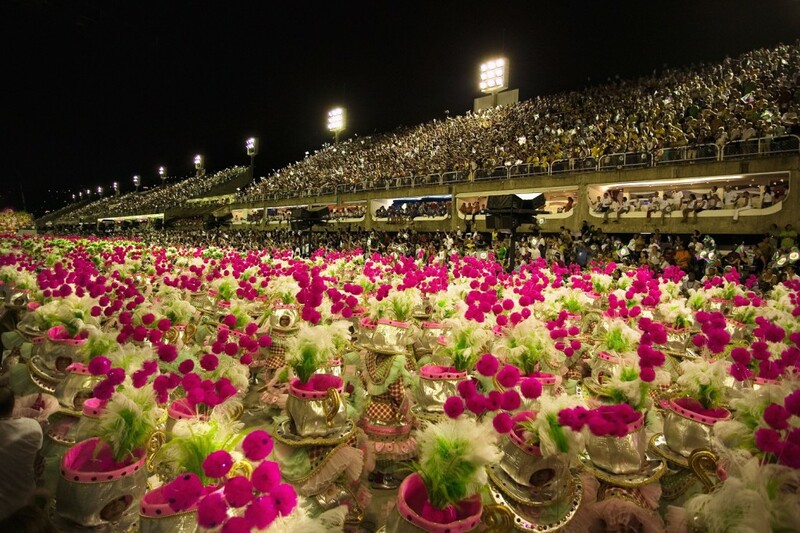 Info: Arguably the best Samba School in Rio, with a great winning streak and more creative designers than any other school, the Beija-Flor, or Hummingbird, is known for its bright, creative, inspiration floats and perfectly rehearsed dance routines. Info: Another old school, though not as popular as Mangueira, Moccidade is known for its futuristic themes, neon colour-schemes, and being the only school to ever fly a performer through the Sambadrome. 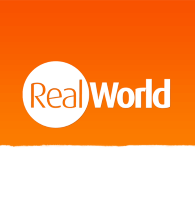 Info: An often controversial school, who feature social and political themes in their parades, Sao Clemente have highlighted many problems Rio has faced in the past, from crime and gangs to homelessness, but retain a certain level of humour and fun. Info: Imperatriz Leopoldinense had a spate of wins around the millennium, and still remains a firm favourite. Its theme is usually playful and reminiscent of a fairy tale, with very technically challenging routines. Info: Another old school, Portela holds the record for the most carnival wins, 21. Although its performances have slipped in recent years, its fans and supporters ensure it retains its reputation as one of the best Samba Schools in Rio. Info: Uniao da Ilha are a school of the people, often considered the underdogs but always putting on a lively and extremely entertaining show. Some of their samba songs have also come to represent Rio Carnival as a whole. 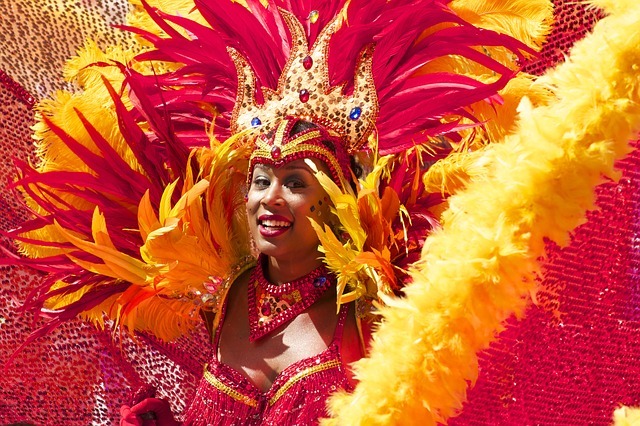 February is the busiest time in Brazil, and everything books up fast, so for more information on Rio Carnival holidays read our carnival blog or check out our guide pages!